Ever heard of the product that goes by the name of Procenta by Fabula? I bet you have since it was one of the "most wanted" beauty drink in the market. 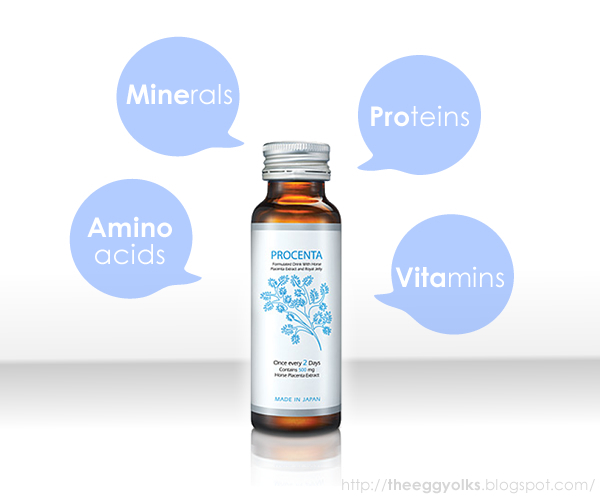 Unlike any other beauty drink, Procenta is pratically made of Horse Placenta extract and Royal Jelly. You heard me right!! HORSE PLACENTA! Ok, it might sound gross for some of you but it does only goods no bads! Practically, it cause no harm to consumers at all because it is something "all natural". Placenta is an organ that connects the developing fetus to the mother and where all the nutrients are channeled to the fetus . 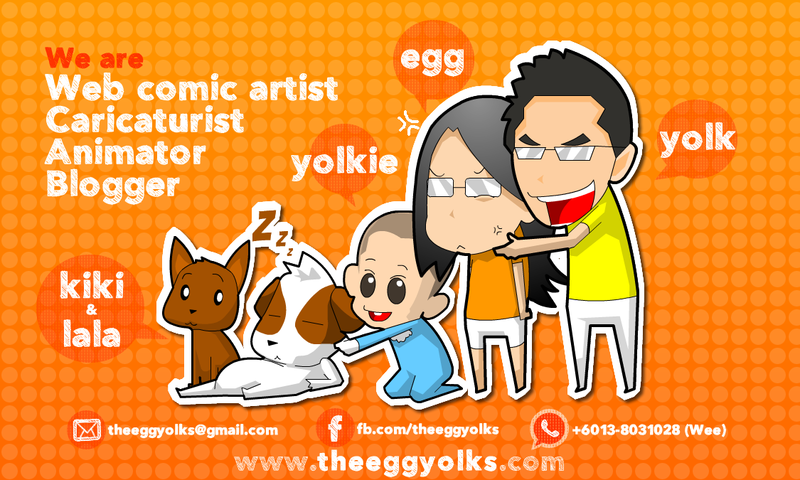 For more detail, ask Mr Wiki. As one of the main ingredient in Procenta, horse placenta extract are so beneficial that it is even known as the "elixir of youth". It has an excellent source of good quality proteins, vitamins, minerals and amino acids, necessary for beautiful skin. It also helps in cell growth, rebuild aged skin cells, tone fine texture and promote a transparent fresh impression. 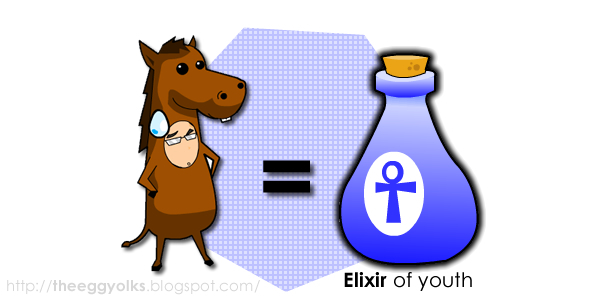 Just think about it - if Horse Placenta is rich enough to nourish the growth of a developing embryo, imagine the beneficial effects it will have on your skin! Some of you might ask why consume placenta while it was used to eliminate waste by fetus. 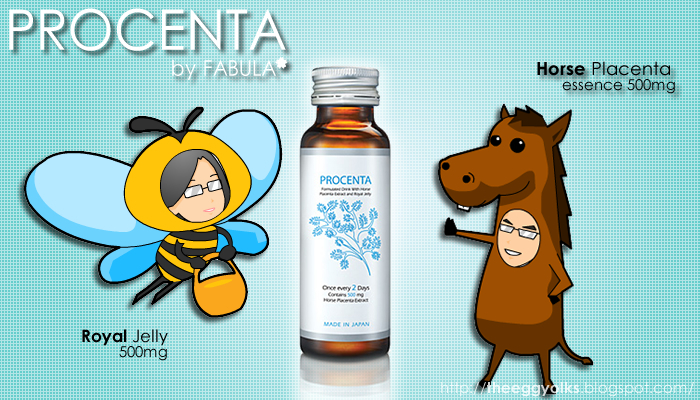 For your information, Procenta by Fabula only uses the extract of horse placenta which was purified. 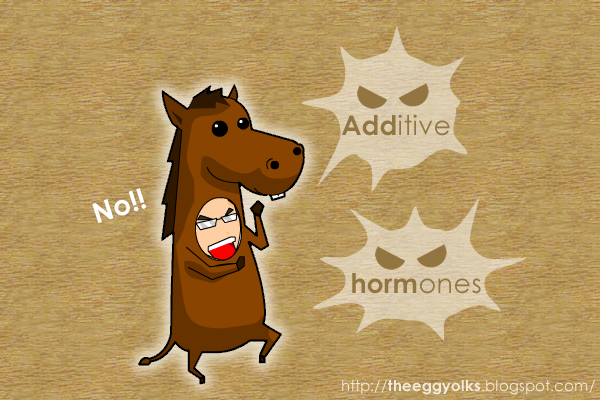 Horse's body is naturally sensitive, it's body cannot accept additives and hormones. Therefore, horse meat and organs are extremely clean. The horse placenta are unlikely to cause allergic reactions thus it guarantees the highest quality of placenta. So rest assure, they are clean and 100% consumable! 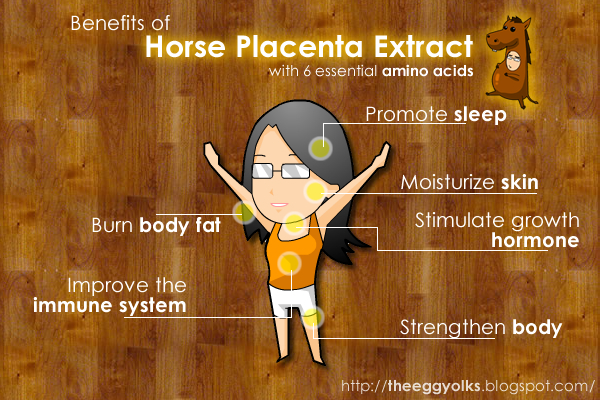 Horse placenta contains 6 essential amino acids which are able to improve the immune system, promote metabolism, stimulate growth hormone, promote sleep, regulate our sugar and energy levels and help to improve physical fitness.It can also moisturize skin, burn body fat, strengthen body and improve liver function. Compared to the general use of sheep placenta, horse placenta are more receptive by human body. Each mother horse give birth to one pony at a time. 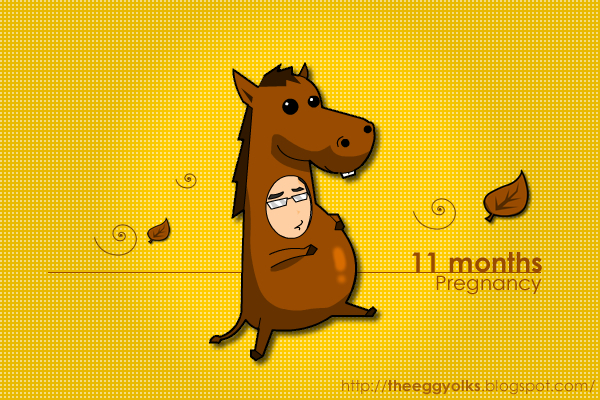 It's pregnancy is 11 months, which makes the horse placenta more concentrated and high in nutritious value. 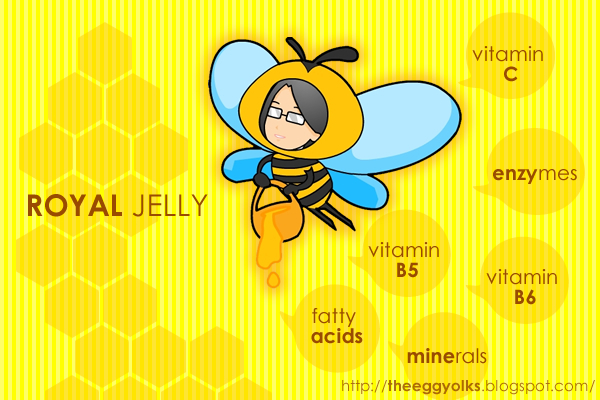 Royal jelly is a honey bee secretion that is used in the nutrition of larvae, as well as adult queens. 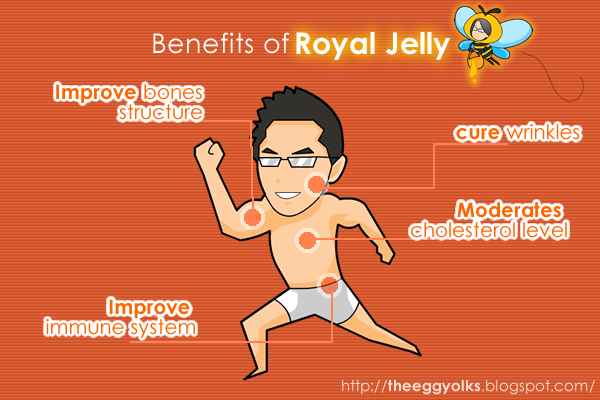 It contains a great amount of natural nutritional supplements such as vitamin B5, vitamin B6, fatty acids, minerals, enzymes and vitamin C.
Consuming royal jelly can cure wrinkles, improve immune system, improve bones structure, cure arthritic pain and moderates cholesterol level. With these two excellent ingredient concentrated into a small bottle of Procenta, what else do you need? Procenta are suitable for both male and female as it doesn't only helps you to look young but also strengthen your health! 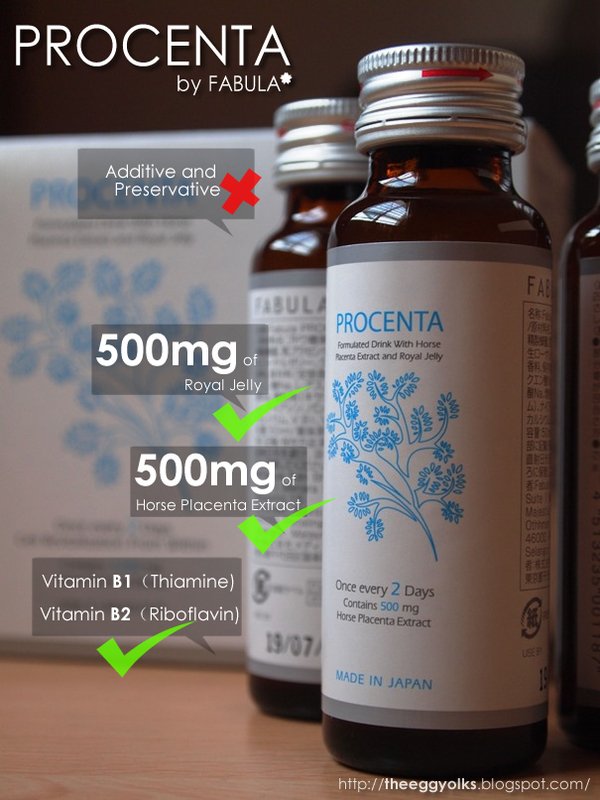 Each bottle of Procenta contain 500mg of horse placenta extract, 500mg of royal jelly and a variety of active ingredients. Most importantly, no additive and preservative are added. Many others said that placenta drinks in the market doesn't taste good at all. Procenta in the other hand is added with honey and lemon extract to enhance the flavor of the drink. It taste sweet with a tinge of sourness and it certainly taste good! Drink a bottle of Procenta once every 2 days and you'll be on your way to better health and vibrant skin.